As determined by experts and show judges around the world, the most intelligent Dog breed has to be the Border Collie, based on their eagerness to learn and drive to work, these Dogs have long excelled for work like sheep-herding and as of today, a trusted furry companion in many homes. Border Collies were developed specifically for intelligence, obedience and agility. First developed and bred in the Anglo-Scottish border for herding livestock, especially for sheep, Border Collies are descendants of the commonly found native Collies in the British Isles. 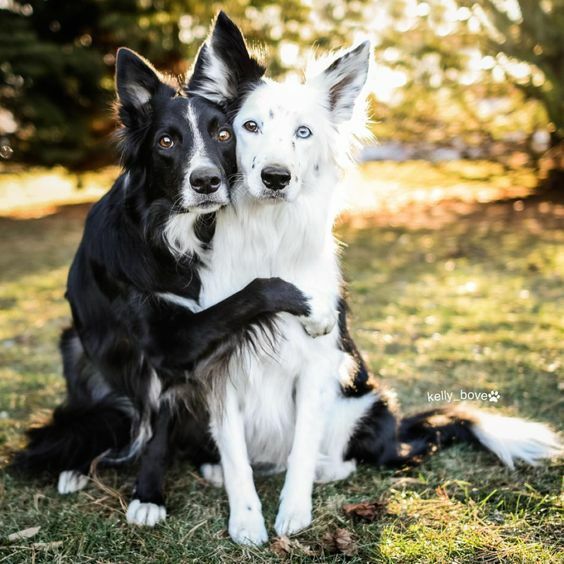 The name Border Collie was only introduced in 1915, as means to differentiate working and show Dogs, and also separate them from the other types of registered Collies, such as Rough and Smooth Collies and the Scotch Collie. 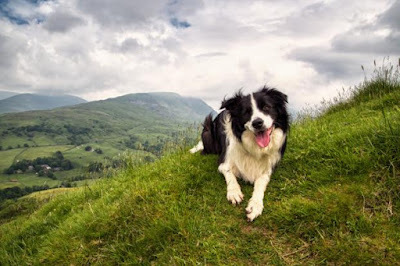 The words Border was derived from where they were developed, the borders, and the term Collie (or Colley) is thought to be an old Celtic word that meant useful. 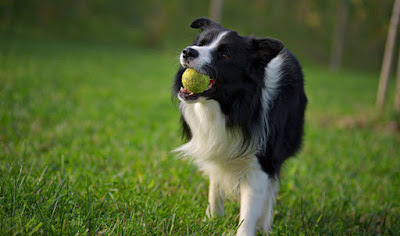 The Border Collie quickly gained popularity as a household Pet that is intelligent and agile, a Dog breed with a whole lot of stamina and loyalty. Border Collies were registered by the AKC (American Kennel Club) in 1995. What Does A Border Collie Look Like? Border Collies are medium sized Dogs that look absolutely poofy due to their thick double coats of moderate length hair. These coats consists of two different types of hair, smooth, rough or sometimes, curly. All Border Collies have dropped ears or semi-dropped ears, with sharp and alert eyes that are known to “hypnotise” sheep during herding. These eyes vary from the colour Blue to Brown. 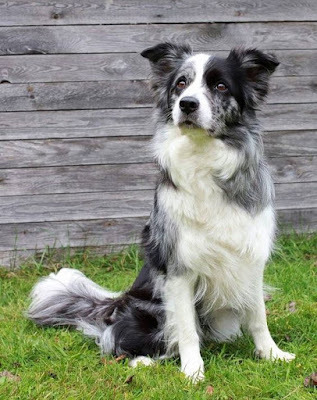 Border Collies are commonly found in Black and White, but they are available in almost all sorts of colours and patterns, including Blue Merle, Red Merle, Lilac, Black Tri-colour, Liver and White, Brindle and also Solid single colours! Fun Fact Did you know, Farmers used to prefer sheep herding Border Collies to have lesser white on them, believing that Sheep would respect the Dogs lesser since their colours were similar? Border Collies do shed throughout the year, so be sure to brush and comb them once or twice every week. This helps to rid those loose hairs faster, and not to mention, reduce excessive hair around the house significantly! If your Doggo has been out and about playing in dirt and such, bath them whenever necessary. Other basic care includes trimming of nails when they clack on the ground, cleaning of their ears with a Vet-approved cleanser and cotton balls. This breed is widely known for their excellent herding abilities, and even as a household companion, they are most likely to still harbour herding instincts, be it bugs, playing children, birds or even bicycles. 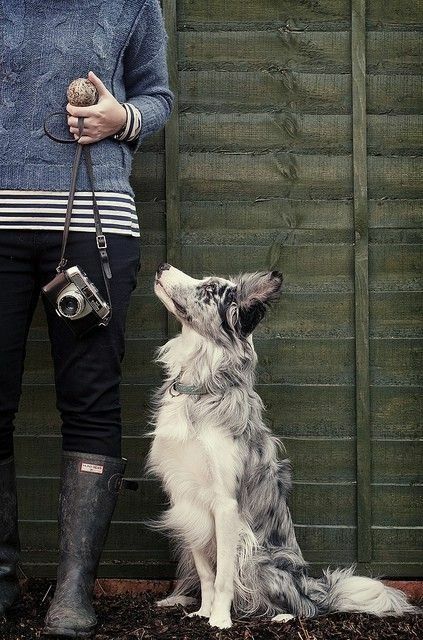 Border Collies are loving, affectionate, loyal and hardworking Dogs that thrive on being useful around the house. They excel in sporty activities like a game of fetch, Frisbee and are easy to train as they are obedient. Border Collies are amongst one of the few breeds preferred for search and rescue missions, like Labrador retrievers and German Shepherds. They do require sufficient mental stimulating activities to keep them entertained, otherwise they may start displaying compulsive behaviours such as chasing lights or shadows, or even staring at a washing machine finish its cycle. Some owners in turn find these actions amusing, but it could also mean that your Border Collie is stressed out from having insufficient activities to stimulate their brains. You may have a Border Collie as a Pet in Singapore, unfortunately they are not HDB approved. We can only presume that is because a Border Collie is much more suited in a private home with a large space to run about and play as a form of mental stimulation, and if the owner isn’t active, keeping a Border Collie cooped up in an apartment is not a good idea at all. Owners best advised to bring their Border Collies out for runs, play time and training outdoors, providing them with sufficient brain stimulating activities. 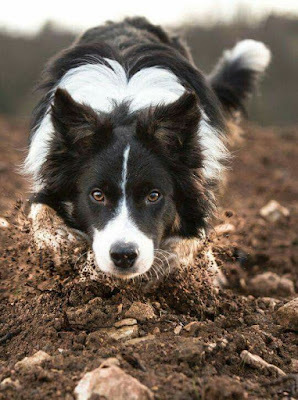 Remember, these Collies thrive on learning and carry out tasks! They also do not take lightly to being neglected for long periods of time. 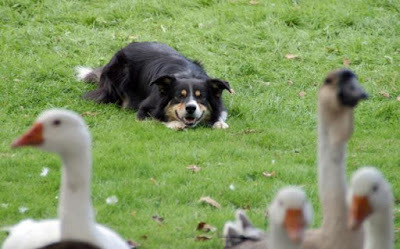 You can expect you r Border Collie to follow you around the house from time to time, like a loyal friend awaiting the next possible instruction. Research and preparations prior to obtaining any Pet as always folks. With proper care, love and patience, the average lifespan of a Border Collie is 12 years or more! Standard breeds are great, but we could say the same for all other crossbreeds and even mongrels. Before you head off to purchase a Pet, always keep an eye out for adoption drives or check out local shelters for more options, you could always count on finding your next loyal companion and providing a forever home for a rescued furry pal. This article was written with informational purposes, as you know, we’d love to share our collective research and experiences as fellow Pet owners and lovers. It is not meant to alternate in any way as advice or diagnosis of Professionals. If you do wish to use any of our published information, you are welcome to contact us!